Tiddy bears are simply the most adorable and exquisite miniature bears I have seen. I first came across these wonderful little bears and their maker at a small teddy bear fair and I knew that I just had to feature them on the site. Jan agreed to be interviewed for the site straight away which shows her enthusiasm for her craft and I think you can hear that enthusiasm in her answers. I hope you enjoy the interview and of course her wonderful little creations. Hi Jan, I love your introduction on the home page of your website and Congratulations on your well earned award (First prize in Class 10 at the National Teddy Bear Award!). Can you describe what winning an award like that means to you personally? To win an award is always a special thing in anyone's life and to win first prize makes it extra special. To me it shows that my creations are loved and admired and helps to keep me focused on further creations. I suffer at times with self doubt that my bears aren't up there with some of the best, so this helped me to realise that may be they are. So many at fairs comment my creations, but I can never tell if that is kindness or admiration. The next challenge is to enter it again an repeat the success, although I have noticed that the competition has really heated up! You say that you started making bears when you were made redundant back in 2002. That sounds like quite a story! So how do you look back and view that time now? Was making bears something you had always wanted to do and the redundancy gave you an opportunity to do something you love? Since junior school I have always had a talent for sewing, as the poor clown I made in my 5th year at school stuck to the notice board by a pin in its hat until I rescued it on my last day before leaving the school, will confirm. I hadn't really thought anything about bear making until a colleague at work introduced myself and Netty to the world of the artist bear. I'd never heard of mohair, or cotter pin joints and wobble joints until she showed us the way. This really was the starting point of it all and being made redundant gave both Netty and I the time to sew and create. It was the fact we were making our bears whilst chatting and drinking tea that lead us to wonder what to do with those we had made and that is when we decided to check out the teddy bear fairs. I was amazed at exactly what was out their for the collector of the artist bear and never dreamed I would end up deeply a part of it. Redundancy gave me the opportunity to revive a hobby that I loved, and to pay for the materials that I used whilst giving others the joy of owning a special creation. I look back with fondness as things really have changed and wonder what I would be doing as a hobby if I was still working for the same company. Then again I say that about all the hobbies and interests I have out side of my working day. 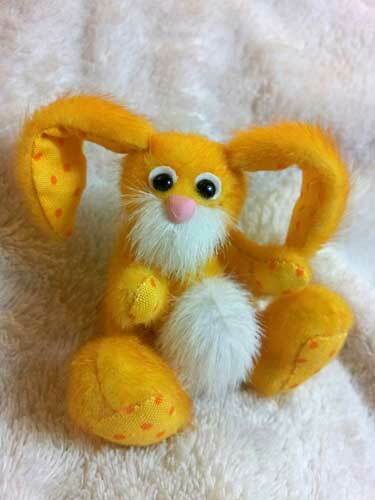 What aspect of making teddy bears do you really enjoy the most? And what part of the process do you find the most challenging? I love creating new patterns which I have just done so they are flying off the "production line" at the moment. I enjoy the sewing and giving them their personality, but not too keen on the stuffing as I always end up having to de-stuff them as they don't go according to plan. My biggest pet hate is the ears and trying to get them to look even! 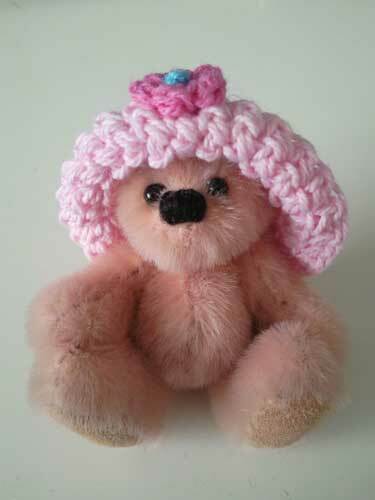 I am tempted to make all my bears with hats so I don't have to put ears on, and noses tend to cause me a lot of pain. I did once joke with Netty that I would like to make an Ann Bolyn bear to which she rambled on about the beautiful clothes, ruffled collar and gold work in the outfit. I was thinking that at least I wouldn't have to make a head! I was of course joking. 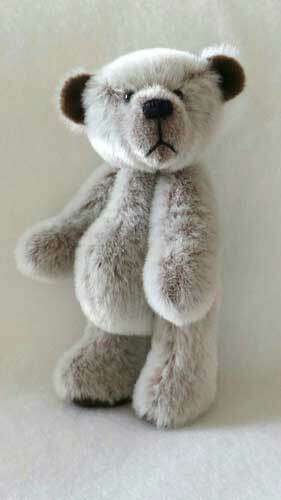 All teddy bears have a personality of their own and I’d love to know if when you start out making a new bear, do you have a clear idea in mind as to how they will eventually look (the kind of character they might have) or do you find that this is something that evolves and that the new bear takes on a life of its own? Every bear I make turns out exactly as I intend them to down to the finest detail - NOT! Each bear created takes a life of its own and develops its character as it goes along. I have an idea of how I hope they will look and they tend to come close but I have never managed to get one to go exactly according to plan. Most of the time I just choose a fabric I want to sew with, decide on the type of paw pads and then think about dressing them. Most of my bears are not dressed as the fabrics these days are so wonderful I think it's a shame to cover it up. On your website, you have a gallery of images of some of the tiddy bears (and rabbits!) you have made for commission for other people. I really admire some of the personalised touches you manage to work into these special pieces. 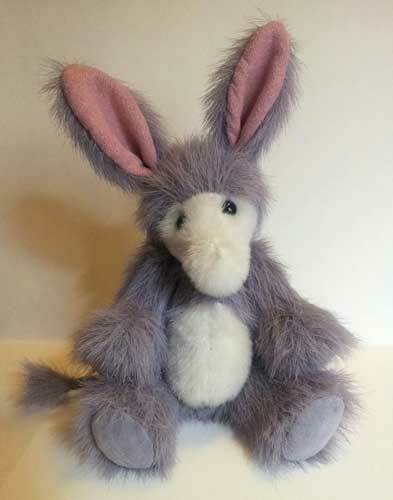 When a new customer says something like “I’d love you to make a bear for me!” (or my uncle/sister/mother or whoever), what kind of questions do you ask them to get enough information from them to be able to make a really personal bear just for them? It's quite difficult to make a bear for someone else as I am sure any artist will tell you, unless you know them well yourself. If the bear/or animal is based on a pet then I insist on a plethora of photos to get a good idea of any quirky bits such colouring or markings which can make it more personal. If its a bear for a person I like to know what their interests are, do they have any pet names or funny stories the bear could relate to. An easy one is if the person has a hobby such as being a keen gardener or cook, it's not so easy if they don't have much in the way of interests but they love bears! Then I try and focus about the occasion they are wanting the bear for i.e. a special birthday or anniversary. You clearly enjoy making small bears which a lot of people would think (and perhaps rightly so) would be a lot more difficult. What is it about tiny bears that you love so much? That's a tough one, I love anything that's miniature, like dolls houses and the furniture. Some would say its because I am miniature myself! I don't know what it is. May be it was a challenge to see how a big bear pattern would look if I reduced its size? Or I get bored easily sewing such large pieces without the aid of a sewing machine? I really don't know what it is with my fascination with the miniature bear. Possibly the challenge to see how small I can actually make them and still be almost fully jointed. I was inspired by Andy Wests bears when I visited the Excel fair back in 2002 so may be it was the thought of being able to create such stunning designs in such a small scale? The bonus is that I don't have to carry as much as others to and from fairs, the drawback is the table can look incredibly empty even with 50 bears on it.